ACAY Missions Philippines staff had their break from its usual work environment and spent the whole day in silent place surrounded by the beauty of nature. This annual recollection for the staff is a great time to tune into the beauty of God’s creation, meditate in it and let it spiritually nourished us. Thanks to the Missionaries of Mary sisters who were with us and who took the initiative to made this moment possible. Thanks also to Brother Bok, a Jesuit brother who headed the whole recollection day. 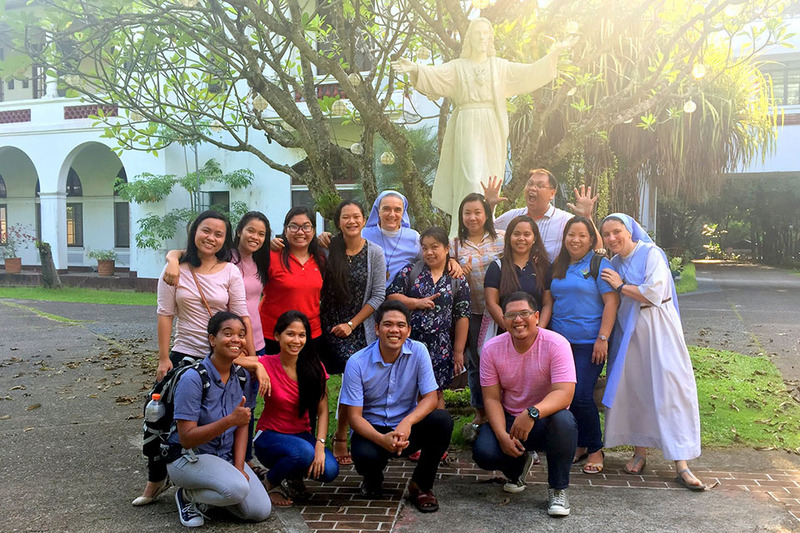 During the recollection, the staff did the prayer walk experiencing creation and meditate on different texts of the bible and ask for the grace of God personally and for the mission. It was also a precious time to be together among the staff and sisters. We disconnect to reconnect. But the irony is, we spent the whole day more connected than ever – connected to each other, to nature, to ourselves and to God.